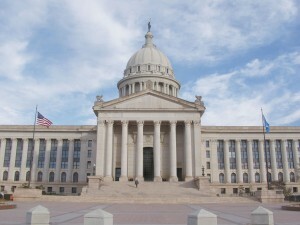 OKLAHOMA CITY — A New York-based Satanist organization has offered to erect a public ‘homage to Satan’ near a Ten Commandments monument on the premises of the Oklahoma capitol building. The Satanic Temple issued a news release about the matter this week, outlining that they believe that it may resolve the dispute over the monument, which is currently the subject of a federal lawsuit. However, as previously reported, the Liberty Institute, a Christian legal organization in Plano, Texas, is working alongside Oklahoma Attorney General Scott Pruitt to defend the Ten Commandments display as being lawful—all by itself.